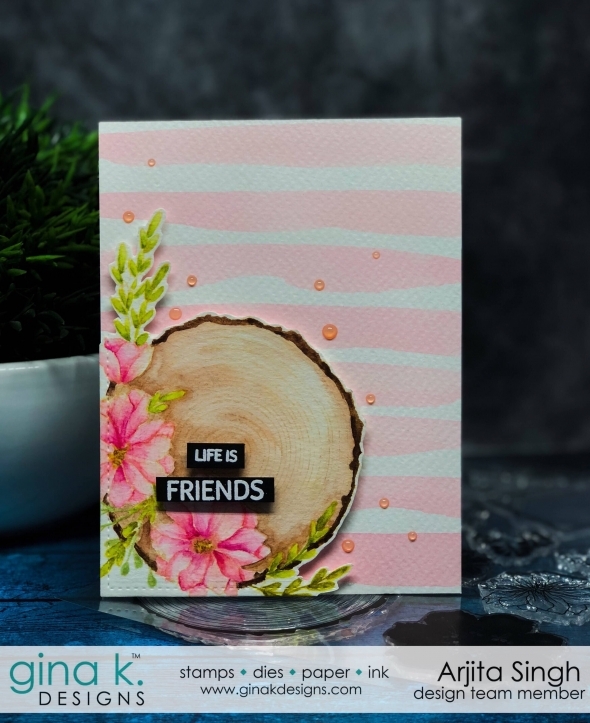 For the first card I created a layered image and coloured the images with watercolours. 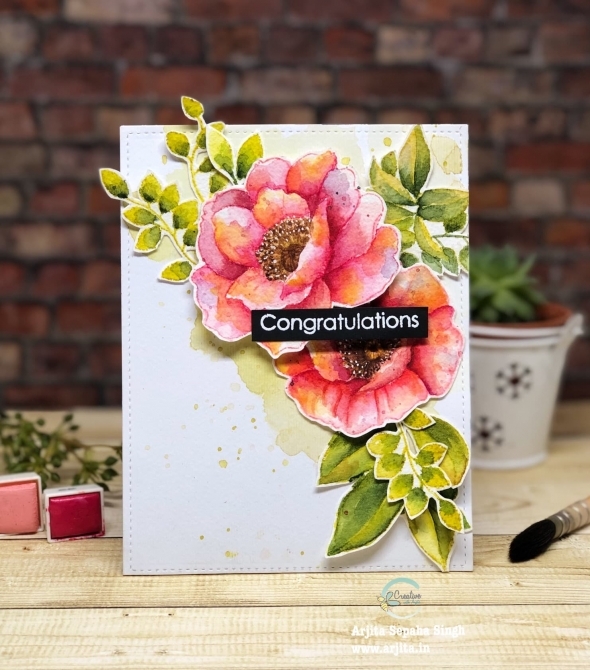 Initially I wanted the card to have a white background but then changed my mind and created this fun watercolour wash background. I used my sharp pair of scissors to fussy cut the image and adhered it at the corner of the card. 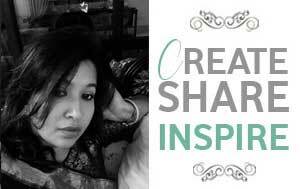 This is a goreous card which is very artistic and chic. 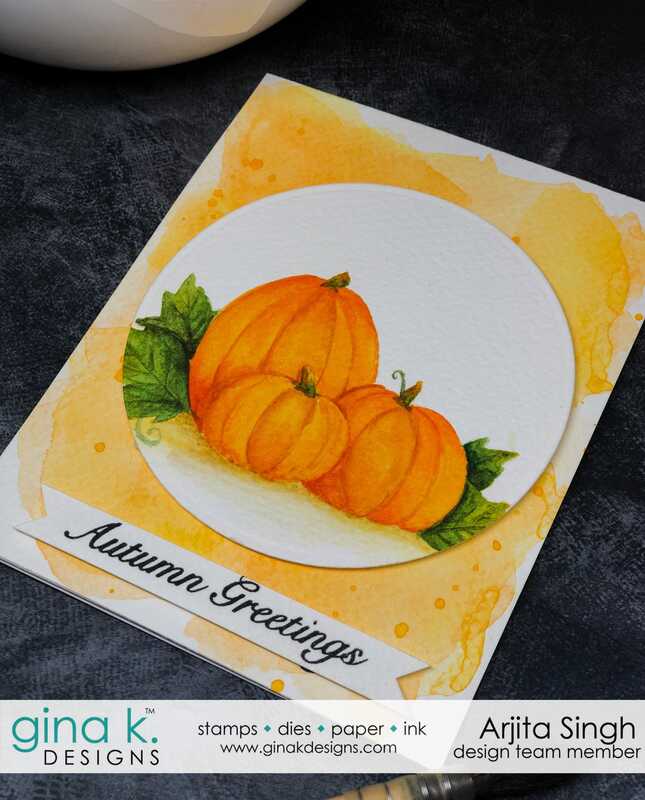 For my second card I stamped the pumpkin and few leaves with Distress ink on some Fabriano watercolour paper and coloured it with Daniel Smith watercolours.For the background I just added some orange and yellow paint and few spatters. 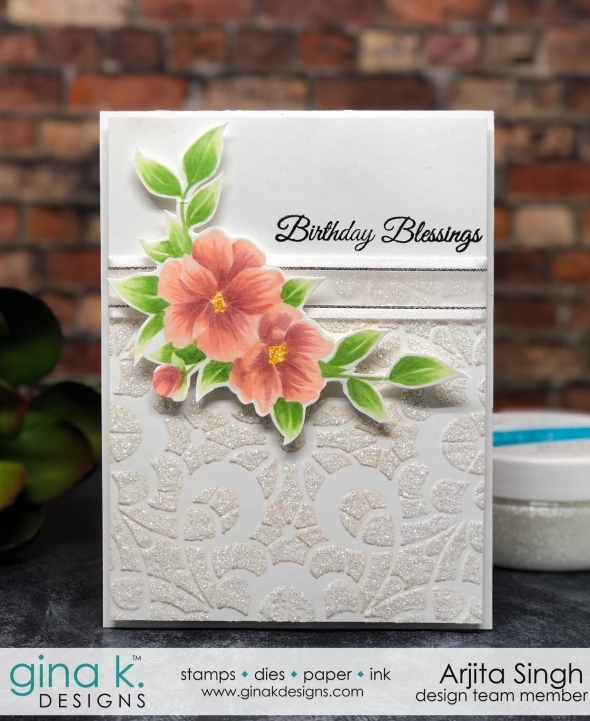 I love creating organic backgrounds for my cards and you will see that in both my cards today. 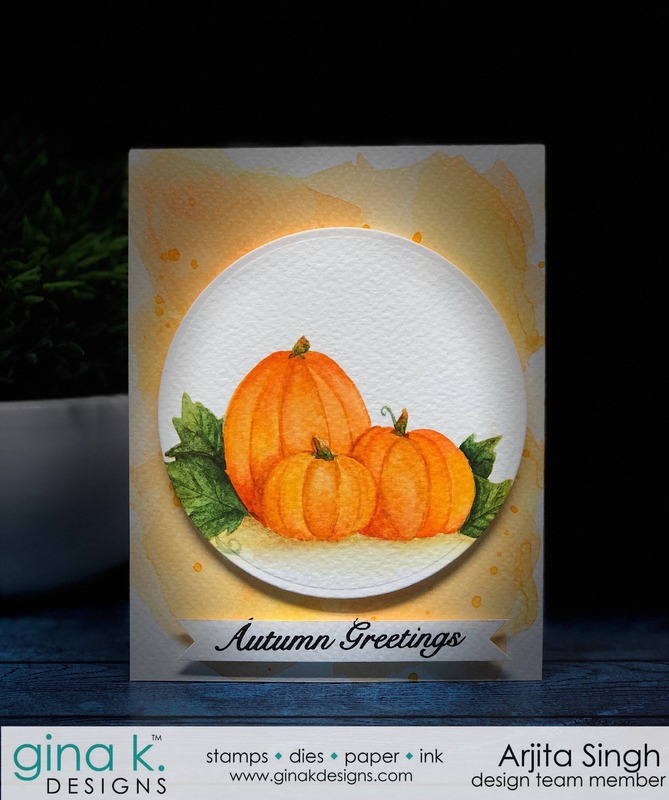 I used a circle die to cut the coloured pumpkin and adhered it on the card panel. 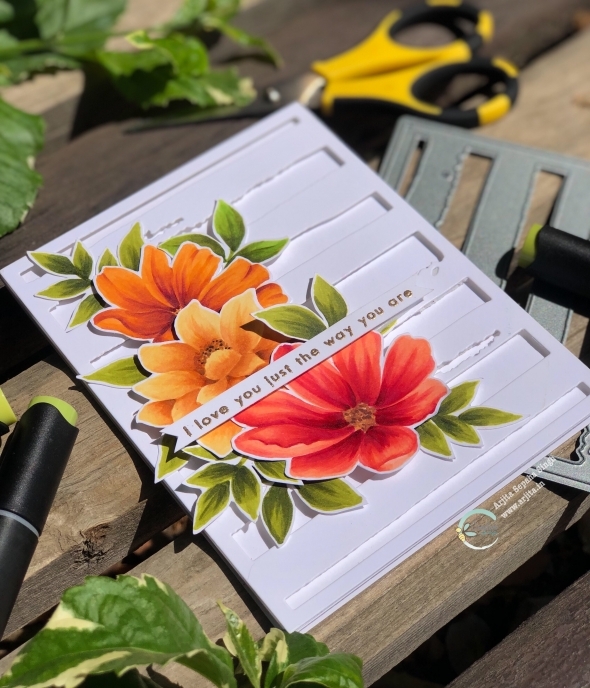 Finished the card with a sentiment and some shimmer. 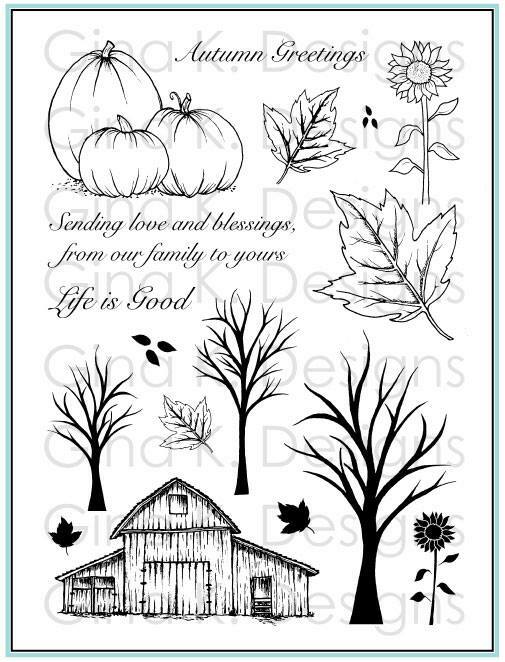 These stamps are available at www.ginakdesigns.com so visit and get yours so as to create beautiful cards. 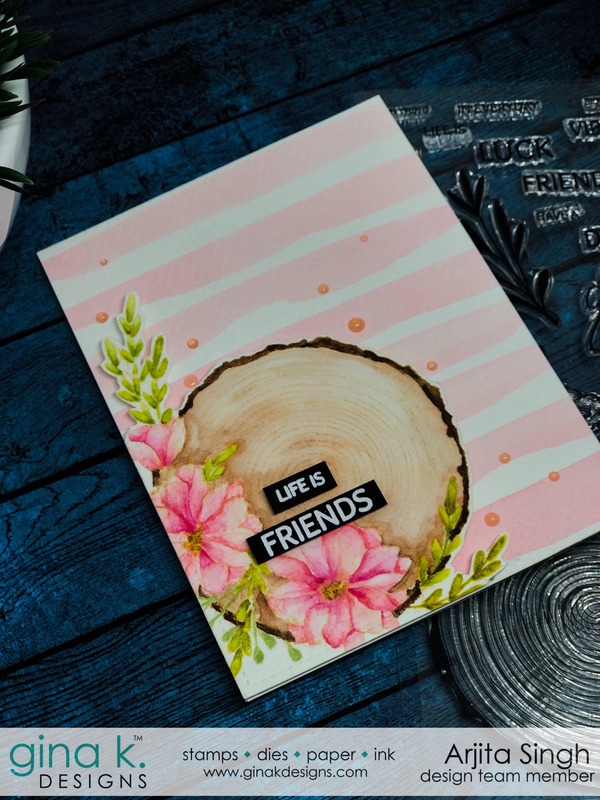 Now I would like to invite you to join the blog hop where you can find amazing inspiration and ideas to use the stamps. 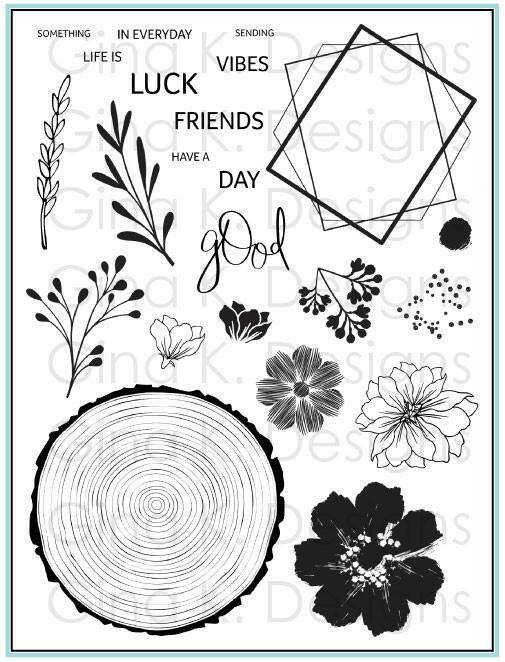 Do not forget to leave us some comments as you can win a $50 Gift Certificate from Gina K designs. 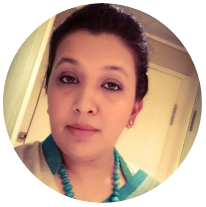 Arjita, your cards are stunning and coloring is out of this world! The coloring in these cards is phenomenal! Your cards are gorgeous. 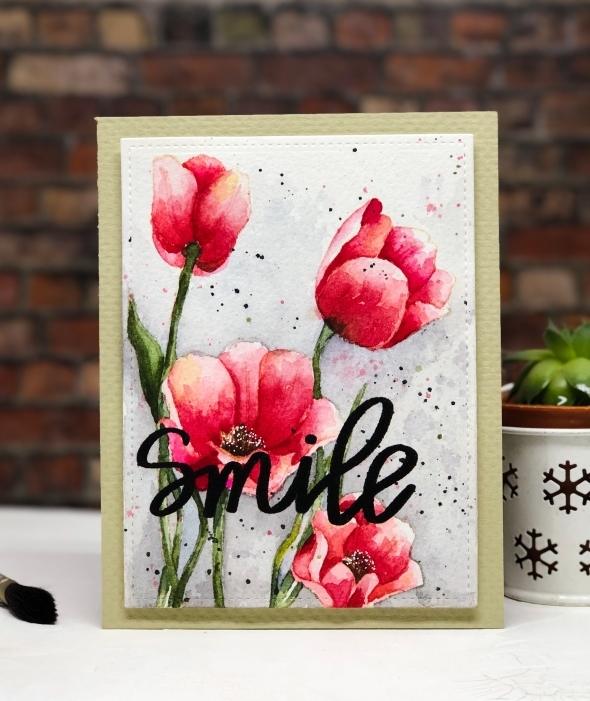 I'm inspired to go try some watercoloring!